“Difference in Diversity” presents us with an engaging reflection on the contemporary state of “culture” and its discourses; it offers stimulating ways out – the recognition of difference within diversity itself is a case in point – while also illustrating some of the perennial problems of such reflections. The key problem is the presumed stability of the notion of “culture” itself, its reification both as a discursive identifier (a widely used word, simply put) and as an empirical analytical category enabling subcategories such as those prefixed with “multi”, “inter” or “trans”. In my commentary, I will focus on this problem and review some aspects of it. An aspect of this problem touches my own position as a scholar and a commentator here. Assuming “culture” as a classifier is also part of a discourse regime, giving voice to, or taking it away from, people speaking out on the topic. 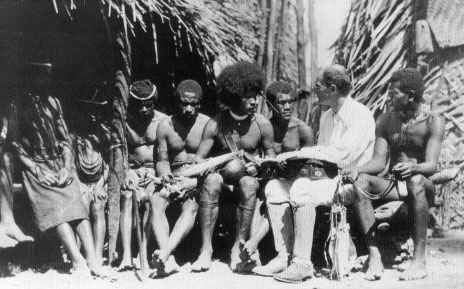 I find much argumentation on postcolonial views highly problematic when it presumes, without much substantive proof, that certain academic discourses are “clearly” locked into one or another culture – that of the Euro-American global Northwest, that of the South, or more specifically that of an Anglosaxon “tradition”, an “Indian” one or a “Latin American” one. It is problematic because it includes an implicit judgment of the legitimacy of voice: a scholar from the global Northwest is not well placed to speak about globalization, for instance, since his/her own location in the process of globalization is supposed to prevent fundamental understanding of those equally locked into other positions in that process. People holding such views must have missed some quite central features of globalization itself: the emergence, over centuries, of intense patterns of interaction and profound mutual influencing across local and regional boundaries, creating diverse cultural and social features sharing a number of fundamental assumptions and characteristics. Thus, in spite of severe differences and inequalities within the system (which I myself have attempted to document quite extensively: Blommaert 2008, 2010; also Velghe 2014), the world has become literate over the preceding century or so, and digitally literate over the past two decades. “Cultures” (to continue the register for the time being) have now all adopted scripts and forms of literate transmission as part of their fabric; the ways in which such scripts are deployed and distributed within actual societies can differ substantially; the fact that such scripts – invariably – create communicative and therefore sociopolitical and cultural scale-levels previously inaccessible to members remains and demands adjustments in our thinking about (a) the autonomy of such “cultures”, because scripts cause scale-jumps, i.e. “transcultural” interactions and influencing; and (b) the historicity of their present structure in view of the effects of literacy – many “cultures” currently employed as labels, notably national-cultural labels such as “Indian” or “American”, could only become what they are because of state-enforced literacy regimes and the scale-sensitive patterns of cultural influencing that come with them. The fact is that as soon as one places “cultures” under the microscope of critical analysis, we begin to see phenomena far removed from the standard imaginations of “culture”. We notice, for instance, that contemporary intellectual communities (such as the ones involved in this very discussion) are characterized by another “culture” than, for instance, nation-state bureaucrats, trade unions or local football teams. Their culture is global, porous, highly volatile and dynamic, and intensely reflexive – postcolonialism, feminism, queerism and so forth would never have been possible without such features. I have, as an Africanist scholar, naturally exercised myself in postcolonial self-critique; the outcome is that I am far more optimistic about “transcultural” dialogue and openness than many others, and that this optimism cannot be fed back to my own, presumed comfortable position in the global Northwest. Any degree of epistemological and methodological reflection should teach us that even simple dialogue should be impossible without at least a degree of sharedness in assumptions, codes for meaningful communication, awareness of common purpose and objectives, and so forth – “culture”, in short. This brings me to another aspect: “culture” itself. I have just defined it in communicative terms, much in the way the symbolic interactionists taught us (e.g. Becker 1963; Goffman 1963): culture is that which creates meaning in social contacts. As soon as people achieve a level of understanding, they share something – even for a very brief moment, as when we ask directions in a foreign place by means of heavily articulated body language and facial expressions. And this means that, during that brief moment, a “culture” has emerged enabling its “members” to engage in social interaction of some sort. This culture, no less, organizes the mutual roles, positions and identities of the participants – it involves a particular social order that needs to be followed in order to render individual interactions at least potentially successful. There is, thus, no reason to dismiss such temporary and apparently superficial forms of “culture” as irrelevant for the discussion: it is precisely such ephemeral phenomena that might demonstrate what culture is in its most elementary form – the capacity to enter into an ordered play of social conduct seen as jointly meaningful by those involved in it. Much of my own current work addresses what is called “superdiversity”: the extraordinary complexity of contemporary social configurations due to post-Cold War migration patterns and the digital revolution (Vertovec 2007; see Blommaert & Rampton 2011; Blommaert 2013, 2014). This recognition of – precisely – “difference in diversity” pushes us towards a far more modest stance on defining what is “culture” and what is not, since everything is “multi-“, “inter-“ and “transcultural”, if you wish. The minimalist symbolic-interactional definition I gave above is what works empirically: rather than solid and robust “groupness” – the stuff of our traditional imagination of “culture” – we see minimal conviviality and temporary cohesiveness (Varis & Blommaert 2014). Remember that Erving Goffman defined “encounters” as focused activities that involve a degree of sociality which Goffman did not accept as a feature of social “groups” (Goffman 1961). While I hate to disagree with someone such as Goffman, what we now see is a world of “encounters” – focused social activities as described earlier – which do generate “groups”, but groups that no longer fit the Durkheimian-Parsonsian image of groups that has dominated sociology and anthropology for a century and that underlies our traditional view of “culture”. Contemporary “cultures” are best seen as characteristics of social “niches”, arenas we pass through on an everyday basis, and in which we have to deploy specific cultural resources in order to be “normal”, “integrated” and so forth (cf. Agha 2007). Any living individual would be expected to have access to a terrific multitude of such “niches”, and would therefore be tremendously “multicultural” (or, if you insist, “superdiverse”). Naturally, in such a condition the classical notion of “cultural” becomes meaningless. If, as scholars engaged in a global dialogue on the character of globalization, we wish to do our work well, I suggest we look for those avenues of thought that enable us to create a maximum of meaning, and a maximum of “voice” – the capacity to make ourselves and our interlocutors understood on their own terms. Traditional concepts of “culture”, I fear, have passed their sell-by date in that respect; perhaps a radically empirical stance offers superior possibilities for at least agreeing on the ontology of what we are observing: humans in their actual social environments. I encourage my readers never to give up the search for such avenues. Blommaert, Jan (2014) Lingua franca onset in a superdiverse neighborhood: Oecumenical Dutch in Antwerp. Tilburg Papers in Culture Studies, paper 112. Blommaert, Jan & Ben Rampton (2011) Language and superdiversity. Diversities 13/2: 1-22. Goffman, Erving (1961) Encounters: Two Studies in the Sociology of Interaction. Indianapolis: Bobbs-Merrill. Varis, Piia & Jan Blommaert (2014) Conviviality and collectives on social media: Virality, memes, and new social structures. Tilburg Papers in Culture Studies, paper 108. Velghe, Fie (2014) ‘This is Almost like Writing’: Mobile Phones, Learning and Literacy in a South African Township. PhD dissertation, Tilburg: Tilburg University. Vertovec, Steven (2007) Super-diversity and its implications. Ethnic and Racial Studies 30/6: 1024-1054. Next Next post: Limits to democracy?